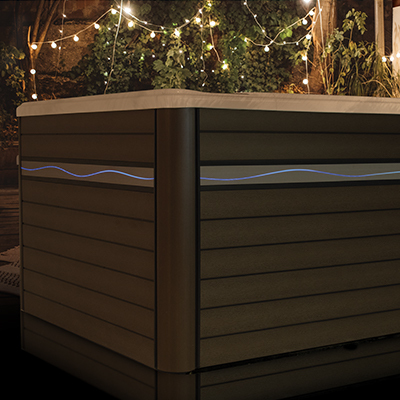 Set into a decorative SoftTread™ insert, this laser LED light provides a warm and inviting glow to the exterior of your swim spa at night and looks great as part of your backyard design. The Wave Light Package is available for most deep swim spa models. Less maintenance means more time to relax?